Top and tail the gooseberries. Then heat gently in a saucepan with the sugar. When they are soft, remove from the heat and allow to cool. 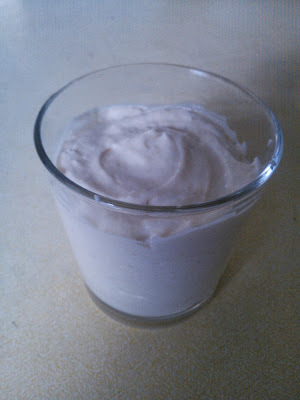 Put the gooseberries in a blender and whizz until you get a lovely mush. Push through a sieve to remove the pips. Add the custard and stir well. Whip the cream and then combine with the gooseberry mixture to make a marbled effect. Pour into dishes and chill.